Verbiage changes are not updating and the 2016 Light theme is not displaying properly. Bugs in early releases of the 2016 Light theme. Run the latest HF820-66.exe hotfix found here. 1. 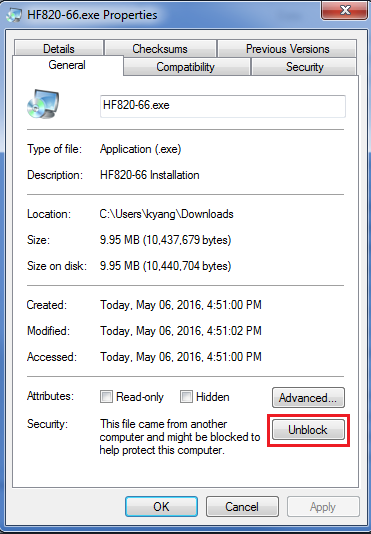 Download HF820-66.exe to your SecureAuth server. 2. Right click the file and click "Properties." 3. Click "Unblock" and press Apply and OK.
4. 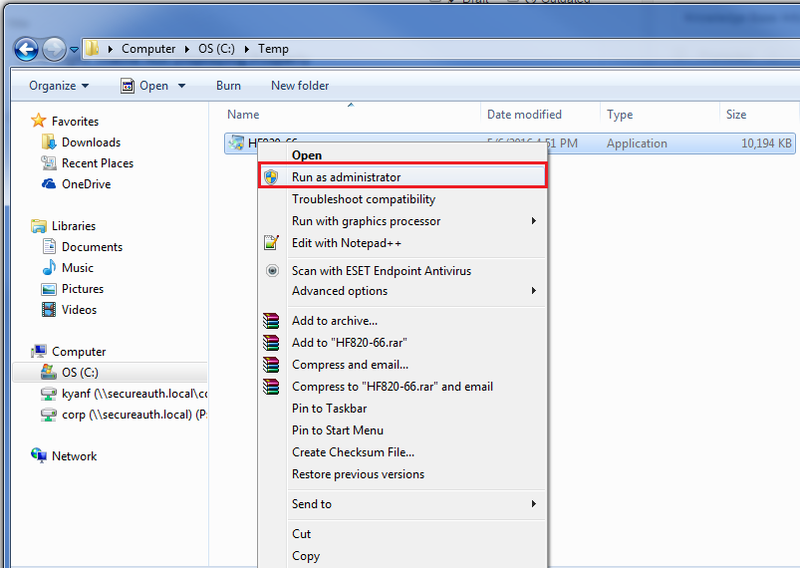 Right click the file and "Run as Administrator"
5. Click "Next" through all the step and after everything runs, it should show that it has been successfully completed. Be sure to start those services again after the hotfix completes!